The Holy Spirit comes on Jesus when he is in the passive state of submitting himself to God’s will in baptism and while he is praying. 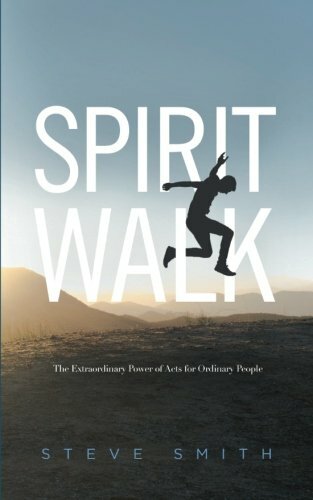 The effects of the Spirit in the life of Jesus are evident in what follows: the power to resist the wiles of Satan, the power to recall and apply Scripture, the power to see God’s plan and purposes and to proclaim the Word boldly, the power to withstand hostility, and the power to minister to and heal the oppressed. The Spirit in the lives of believers can do the same things. In the early hours of this morning this WONDERFUL man of God and hubby of nearly 33 years passed away quietly and peacefully. He made me promise not to say 'he lost the battle with cancer' (because you can't 'battle' cancer) but I will say this: That cancer raging in his body for nearly 2 1/2 years did not stop him from serving God and doing incredible ministry, going on some amazing trips having great adventures and staying true to his positive, faith-filled,visionary, missional, proactive, wickedly humorous, caring and loving self, being the most wonderful husband any woman has ever had! I will miss him so terribly much, but I know I will see him again in heaven, Thank you, Jesus! 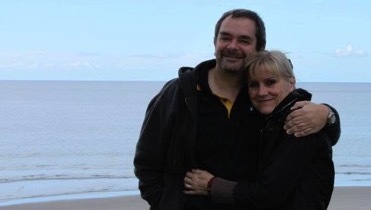 An interview with Phil and Monika Clark about their pioneering work in New Zealand and how they faced Phil's cancer together with faith and courage. I should be working on a book, not blogging. But listening to a podcast this morning I was struck by this fact. Q. What is the most racially diverse and integrated denomination in the United States? A. The Assemblies of God. We're not just talking about a denomination having separate Latino, African-American and white churches. We're talking about the individual churches themselves being diverse. People sitting in the pews together. A diversity of leaders on the same team. Here's the surprising thing, the least racially diverse churches are the politically correct old mainline — Episcopalians, and United Methodists. Then I made a connection. I'm working on a book and revisiting the explosive growth of the Methodists on the American frontier. 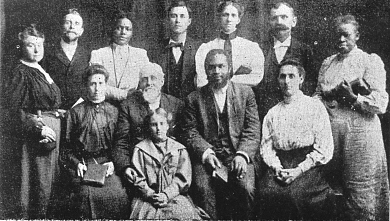 African Americans flooded to join the Methodist movement and helped shape its character. The Methodist on the frontier were not like the Methodists of today. They were wild. They expected to experience God in powerful ways. And they did. I went on to church, and the brothers and sisters prayed around me. Then, like a flash, the power of God struck me. It seemed like something struck me in the top of my head and then went on our through the toes of my feet. I jumped, or rather, fell back against the back of the seat. l lay on the floor of the church. A voice said to me, "You are no longer a sinner. Go and tell the world what I have done for you." An ex-slave, from God Struck Me Dead. Eventually the Methodists settled down. But Pentecostalism was their grandchild via the Holiness movement. Long story. 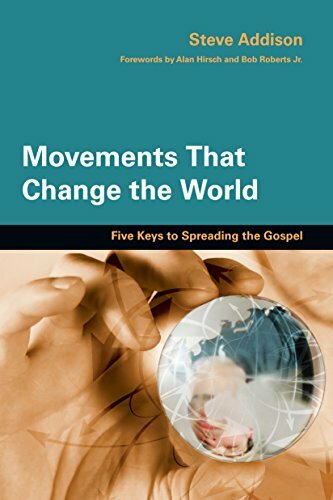 So let's drop in on the birth of Pentecostalism, and of the Assemblies of God. We're in an old deserted Methodist church building which has been used as a stable. There's a black man down the front with his head in the packing crate used for a pulpit. William Seymour (above) is the son of former slaves and he's crying out to God for the power of the Holy Spirit. The Spirit comes in power, the wild scenes look very much like those Methodist camp meetings on the frontier. The most shocking thing was that the meetings were racially diverse and a black man, blind in one eye, is leading. That's the founding identity of Pentecostalism and the Assemblies of God. Out of Azusa Street, Pentecostalism quickly became the most expansive missionary movement of all time. There are over half a billion people in charismatic, Pentecostal and related movements globally, and they are young. There seems to be something about power encounters with the Holy Spirit that remake people's identity. Especially those who are excluded or marginalized in society. If you have encountered God directly and powerfully it changes you. 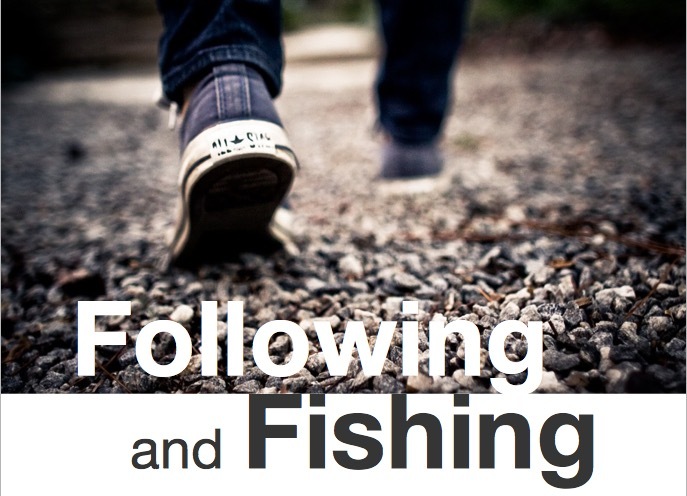 You may be a janitor and the son of former slaves, but God can use you to launch a missionary movement. If you have the Spirit, you have equality and dignity regardless of what others may think, That man next to you has the Spirit, he's a different color, but he's your brother. Let's go to Columbia where Elizabeth Brusco studied the impact of a Pentecostal conversion on family life. She found conversion transforms the life of the family as men stopped gambling, drinking, committing adultery and taking an interest in the family. These men were now least likely to commit domestic violence. What's this got to do with racism? 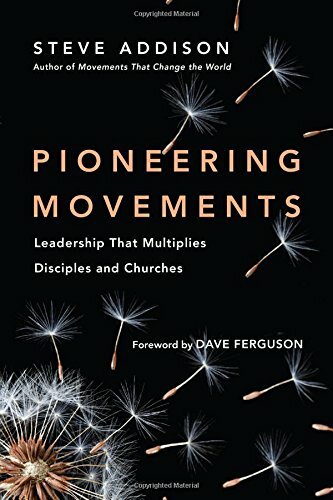 I think there's a reason why the early Methodists, the Pentecostals, and the Assemblies of God lead the way in creating communities that are racially integrated. It's their commitment to the gospel and their experience of the Holy Spirit. Domestic peace and racially reconciliation are the by-products. There's one more thing . . . I was in the Leicester Post Office on Saturday and met an Afghan waiting in line. We got talking. Later over a coffee I heard his story and shared the gospel. We've planned to meet again and read some stories from the life of Jesus. It all seemed so simple and natural. Partly because I've been trained. Mostly because I'm the Holy Spirit had prepared this man's heart and led me to him. 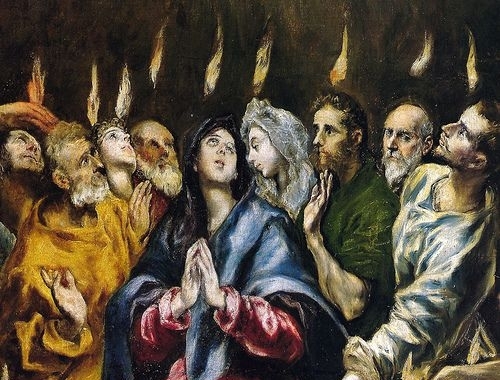 I’m fascinated by the period of time between Jesus’ resurrection and the coming of the Holy Spirit at Pentecost. 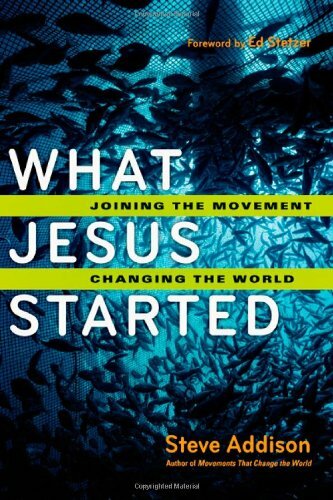 Jesus is laying the foundation for the era in which we still find ourselves between his first a second coming. Over 40 days he gave convincing proofs that he had risen. He took his disciples from cover to cover of the Old Testament explaining God’s purposes and the meaning of his death. He gave his disciples a clear mandate to take the message of repentance for the forgiveness of sins to the world. 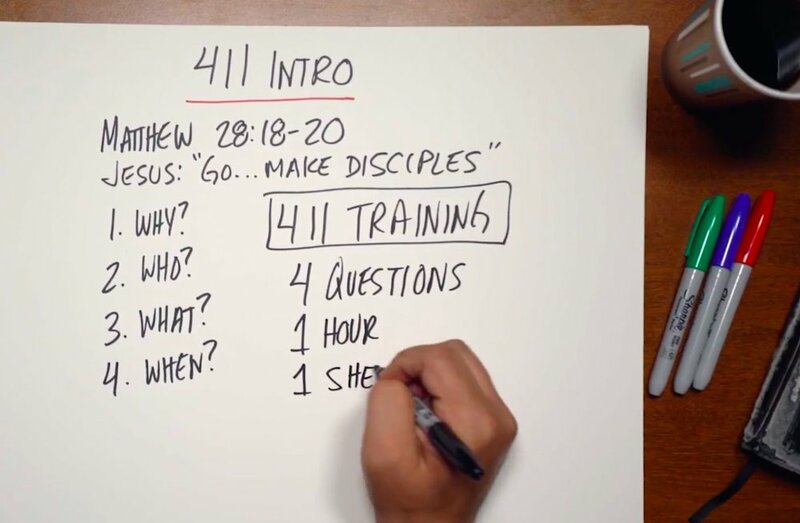 Then before he left, Jesus said there’s one more thing. Wait. Gather in Jerusalem and wait. After commissioning them to go, he commands them to stay. One more thing — the Holy Spirit. You’re not going anywhere without the power of God. After all, it’s not their mission, it’s his. The example Jesus set was dependence on the Holy Spirit. Jesus had been conceived by the power of the Holy Spirit. The early witnesses at his birth were filled with the Holy Spirit. At his baptism he received the power of the Holy Spirit to launch his ministry. It is through the Holy Spirit that Jesus taught with authority, proclaimed the coming of the Kingdom, defeated Satan and expelled demons, healed the sick and performed miracles. 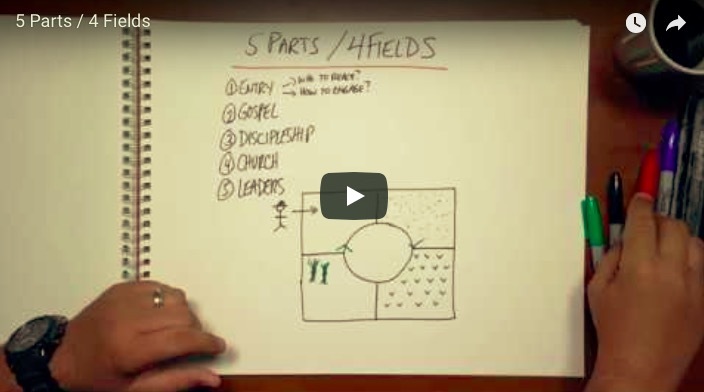 What is the role of the Holy Spirit? The Spirit bears witness to Jesus. In Acts the most frequent function of the Holy Spirit is to witness to Jesus through the disciples (see Shelton, Mighty in Word and Deed). To be filled with the Holy Spirit is to be a witness to Jesus. The Spirit who spoke through the prophets is the same Spirit who empowers Jesus and now fills his disciples to take the gospel to the world. For Luke, the mission of God is all about the spread of the Word, through us, in the power of the Holy Spirit. So next time you're waiting in line at the Post Office, say hi to someone. You never know what God might be up to. From fortune-telling to faith in Christ. All over the world Gypsies are turning to Christ. At a time when large numbers of people are drifting away from formal religion, one church is bucking the trend. 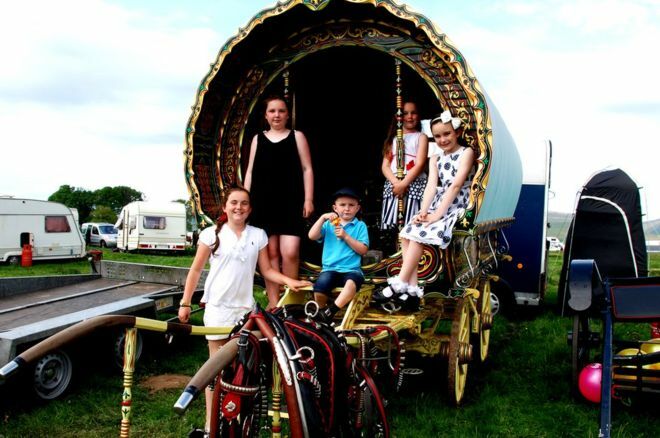 Huge numbers of Gypsies and travellers in England now say they've joined a new movement called Light and Life. Those who join have given up drinking alcohol and fortune-telling, and many have even abandoned their traditional Catholic faith. The Pentecostal movement, which is Gypsy-led, has grown rapidly in the past 30 years - it says up to 40% of British Gypsies belong to it. There's no way to prove that claim, but most Gypsies and travellers will agree that there is a surge in people joining.